A recent news article discussed the importance of implementing the concept of “coordinated care” into our nation’s healthcare reform. Coordinated care is a delivery model that forms the cornerstone of the Affordable Care Act of 2009; the basic idea of which is to synchronize the care individuals receive from multiple team members. Coordinating care between multiple caregivers and members of the medical community improves the patient experience, and produces better health results. With a dependable homecare system or homecare software, such as provided by ClearCare, synchronizing or coordinating care is easier than ever before. 77-year old Evelyn Marshall* has lived alone for the past 12 years. With no children nearby and a strong sense of independence, Evelyn desires to remain living at home. Until a recent hip injury, Evelyn’s only assistance came from a neighbor, who helped with grocery shopping and cooking. After Evelyn’s hospital stay, she spent several months in rehabilitation programs. Suddenly Evelyn found herself needing care from surgeons, nurses, rehabilitation specialists, and full-time caregivers. A reliable homecare system and homecare software helped keep the entire care team on the same page, which helped Evelyn gain back the weight she had lost during her hospitalization, avoid readmission, and recover completely. For families who want to stay involved with their loved one’s care but are unable to physically be there on a regular basis, ClearCare’s web-based homecare system and homecare software gives them access to real-time updates on the patient’s daily care. Family members can verify that the caregiver has arrived at their relative’s home on time and has completed all assigned tasks as scheduled. Effective care coordination depends on good communication between the entire team of care providers. For seniors who receive care at home, the home care aide plays a vital role in relaying information about the status of the client’s health. No other member of the care team is present as often as the caregiver and can implement the kind of proactive measures necessary to keep the patient as healthy as possible. With ClearCare’s homecare system, caregivers can easily communicate with the home care agency and other members of the care team – addressing concerns quickly and efficiently. 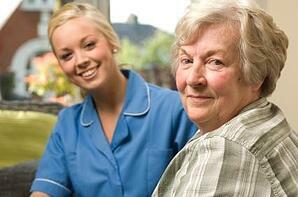 Care coordination has always been a key aspect of ClearCare’s homecare system and homecare software. This approach helps monitor the health of each senior - satisfying more families and creating better patient outcomes. What aspects of coordinated care impress you as most important? Drop us a note and let us know!